This is a popular signature block quotation among the archival community. I know nothing of its source or the context from which it was taken, but, for some archivists, it serves as a source of empowerment within an often overlooked profession and misunderstood profession. The archivist makes decisions every day regarding what materials should be kept for future consultation by researchers, scholars, students, genealogists, and the general public. The archivist has the power to determine which of today’s documents, records, and other resources will become the source of tomorrow’s history. Of course, an archivist shouldn’t abuse one’s power to intentionally scrub an individual, group, organization, or event from the historical record, but not everything that has ever been written, photographed, filmed, recorded, or electronically stored can be kept forever. The archivist selects those materials that provide the best documentation of a topic given the confines of their space, time, and budget. 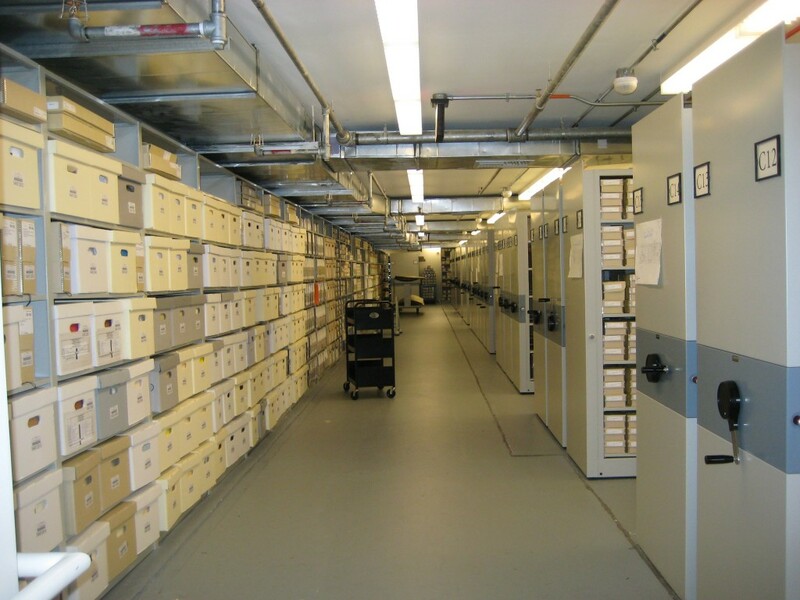 Archives generally have a collection policy, formal or informal, which dictates the scope of the materials they will collect. Collection policies generally include a limiting factor based on geographic areas, groups of people, professions, organizations, or other topics. There are 11 archives within the Smithsonian Institution, each with its own collection policy. Most of these archives are topical and are part of, or affiliated with, one of the museums. These collections generally consist of unpublished materials and other primary sources that support the museum’s collection of objects. The Smithsonian Institution Archives (SIA) is unique among the various archives at the Smithsonian. SIA is responsible for documenting the history of the Smithsonian itself, through the records created by staff throughout the entire organization. As institutional archives, we rely less on donated collections, and receive most of our materials through our program of records management services. Staff are required to consult with the Smithsonian Institution Archives before they throw away any of their records. To make this easier, we create schedules that inform staff how long they need to keep certain types of records and what to do with those records when they are no longer needed. The records that best document the Smithsonian and its activities are designated as permanent records to be transferred to the Archives when they are no longer being actively used. Once the permanent records are transferred to the Archives, we then manage information about the records in much the same way that the libraries and registrars do. An internal database is used to record and manage information about each collection that is transferred to the Archives. Much of that information is also made available externally in SIRIS, the online catalog that is also used by the Libraries and the other archives throughout the Smithsonian. The SIRIS entry links to the finding aid for that collection on our website. The finding aid notes the creator and date span of the collection; provides a brief description of the overall collection, and sometimes a brief history of the creator; and lists the title of each folder within each box and occasionally even each item in the box. The finding aid assists researchers in identifying what boxes and folders they should review. In the digital age, archivists, as well as registrars, librarians, and other types of records and information managers, have faced a new set of challenges. Electronic materials can no longer be considered exceptions to the rules. Many of their standard policies and procedures have had to be adapted or rewritten to accommodate the ever-evolving formats of materials that are entering their collections. They are also attempting to meet the needs and expectations of staff, researchers, and the general public who have become accustomed to instant online access to everything from anywhere in the world. Information managers have come to be experts over the last few thousand years at evolving and adapting and, therefore, continue to be essential to society. As Charles Darwin once said, “It is not the strongest of the species that survive, nor the most intelligent, but the one most responsive to change.” The Smithsonian Institution Archives has compiled its history on its website. For more information about the archival profession, see the Society of American Archivists. For more information about the records management profession, see ARMA International. This is part of a series of posts giving a behind-the-scenes look at the jobs involved in managing the visual and textual materials of an archive. Also see a post describing the work of a Photo Archivist, a Registrar, and a Librarian.